Savannah Sasser and host Sam Benrubi discuss ethical meat eating and more at the Springer Mountain Farm campfire. Savannah Sasser is the chef at Hampton + Hudson in Atlanta, Georgia. She grew up in Montgomery, Alabama, where she learned to cook at her mother’s side and attended Le Cordon Bleu in Pittsburgh at age 18. Formerly the chef at Twain’s Brewpub and Billiards, Savannah also and created the menu for their sister venue, Comet Pub & Lanes. She strove to elevate their food beyond the typical pub or bowling alley fare, and by the time she departed everything in the kitchens was made from scratch. 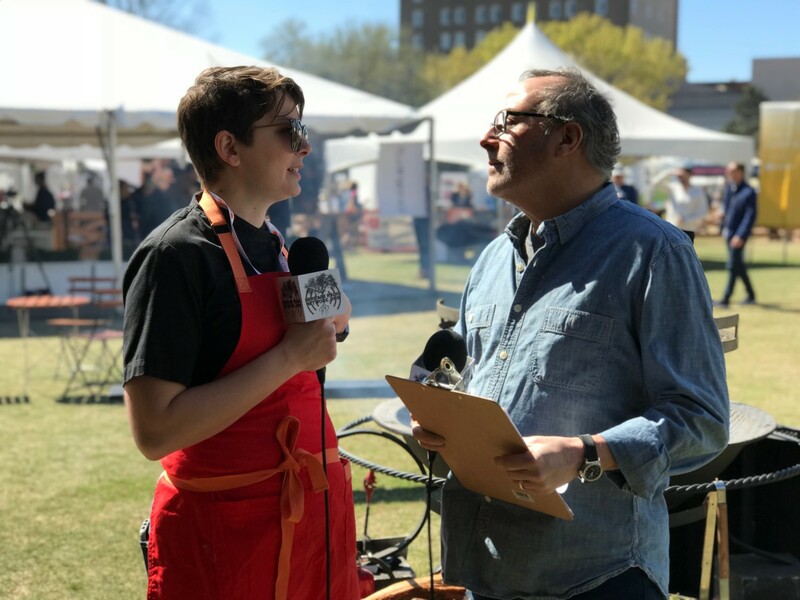 In this interview with Sam Benrubi, Savannah explores her journey from vegetarianism and back again, crediting ethical farming practices by companies like Springer Mountain Farms for changing her mind about eating meat. Sasser runs a monthly vegan supper program at Hampton + Hudson and also caters to a canine crowd with doggie cupcakes and hard biscuits.